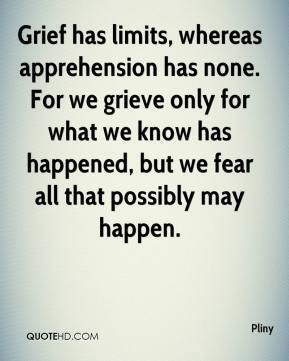 The best moments in life are those we fear as much as we desire them. 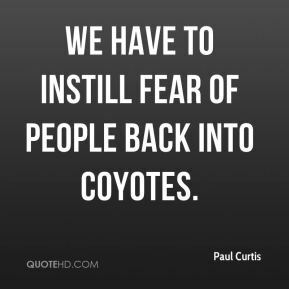 We have to instill fear of people back into coyotes. 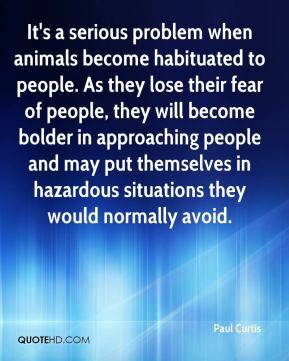 It's a serious problem when animals become habituated to people. 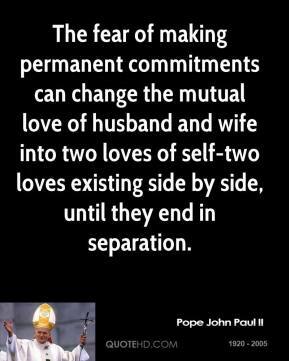 As they lose their fear of people, they will become bolder in approaching people and may put themselves in hazardous situations they would normally avoid. 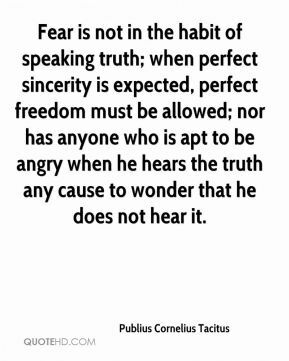 People fear negative media publicity and want to avoid harassment from police. 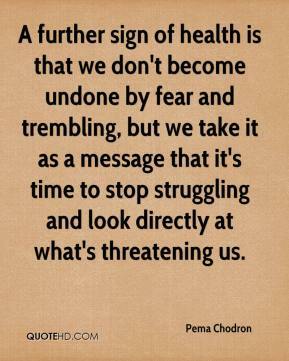 A further sign of health is that we don't become undone by fear and trembling, but we take it as a message that it's time to stop struggling and look directly at what's threatening us. Things got crazy in there. 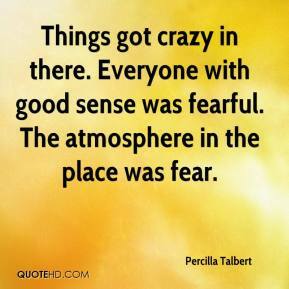 Everyone with good sense was fearful. The atmosphere in the place was fear. 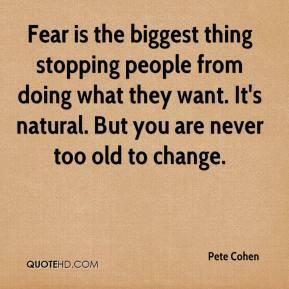 Fear is the biggest thing stopping people from doing what they want. It's natural. But you are never too old to change. There's no fear of supply shortage whatsoever. 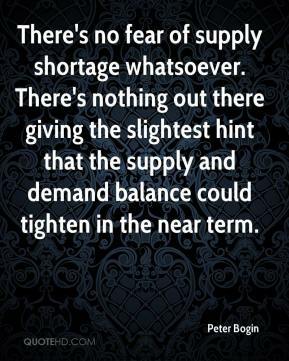 There's nothing out there giving the slightest hint that the supply and demand balance could tighten in the near term. 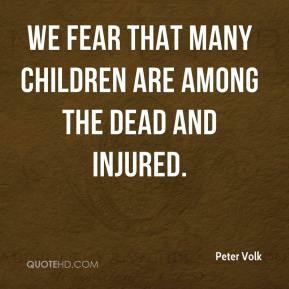 We fear that many children are among the dead and injured. Mr. Spitzer has redefined the office of Attorney General. He has consistently supported working families, while also showing no fear in taking on Wall Street moguls and other big shots. He has fought hard on behalf of exploited workers and consumers. 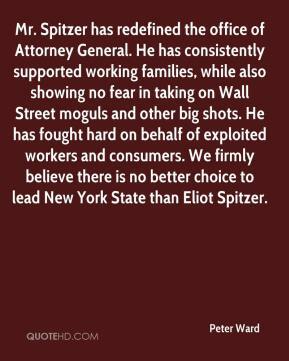 We firmly believe there is no better choice to lead New York State than Eliot Spitzer. 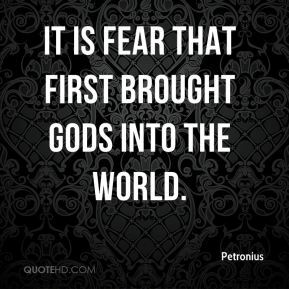 It's all about fear of white space. You can make a sordid thing sound like a brilliant drawing-room comedy. Probably a fear we have of facing up to the real issues. 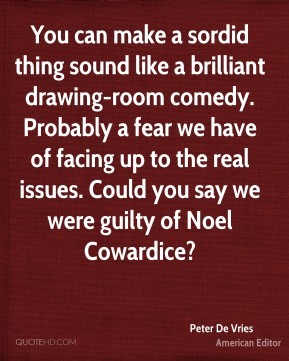 Could you say we were guilty of Noel Cowardice? 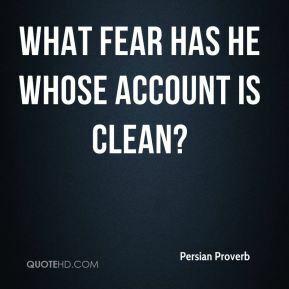 What fear has he whose account is clean? 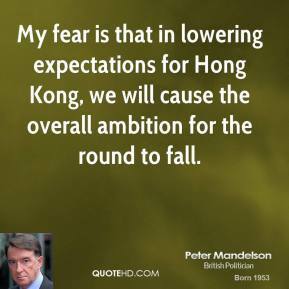 My fear is that in lowering expectations for Hong Kong, we will cause the overall ambition for the round to fall. 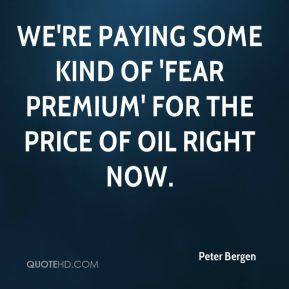 We're paying some kind of 'fear premium' for the price of oil right now. 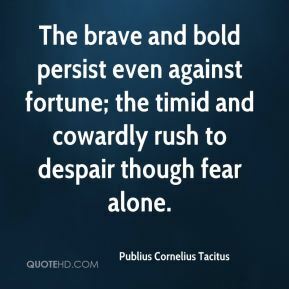 It is pressure off my chest but I am still remaining in fear. 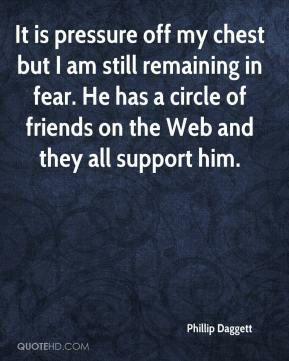 He has a circle of friends on the Web and they all support him. 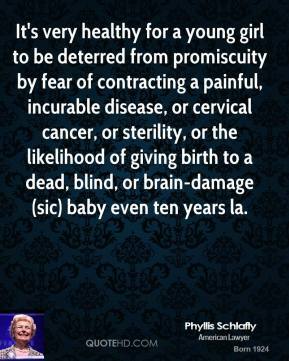 It's very healthy for a young girl to be deterred from promiscuity by fear of contracting a painful, incurable disease, or cervical cancer, or sterility, or the likelihood of giving birth to a dead, blind, or brain-damage (sic) baby even ten years la. 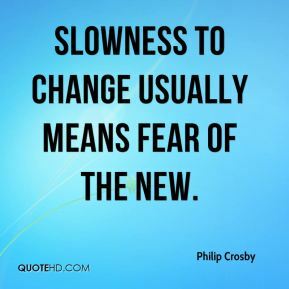 Slowness to change usually means fear of the new. I never doubted myself, or my teammates. 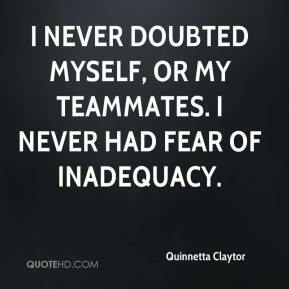 I never had fear of inadequacy.